Ten years ago this month I relaunched this blog. Before that I had a blog from 2000 to 2004. And before that I had various pre-blog personal pages going back to either late 1995 or early 1996. I’m now ready to call it quits. Or at least take an extended break. I’ve not only lost interest in most of the topics I’ve covered in the past decade, but I’ve lost interest in sharing in general. Long time readers probably saw this day coming. The frequency and quality of content of this blog has dropped off significantly this year. I have developed new hobbies in the last year, but unlike before I don’t feel the desire to share those interests on this blog. I will likely start some new project. It may or may not be a blog. I might use my real name or it might be anonymous. Maybe I just need a long break. I didn’t blog at all through most of 2004 and 2005, but then came back. Thanks for reading and your comments. I will continue to host this site. Some pages might get moved, some might be deleted, but most of the content will stay online. Feel free to subscribe to my newsletter. If I come out of retirement or start another cool project that I wish to share, I’ll let you know there. Next Breaking CriticalMAS – A Return To Blogging? sad days… I really like keeping up with you on your blog and I always think you have something interesting to say. I’ll have to go back and read some of the older stuff now. Sorry to see you away and I’ve always enjoyed vicariously staying in touch via your blog entries. Do what ya gotta do, MAS. I understand. Thanks for the informative posts over the years. But what about get potatoes? Thank you. I’ve enjoyed your thoughts. I’ll squeeze in an extra rep for you at my weekly HIT session and an extra minute on my 3 Minutes to Pain Free Life stretches. Seriously, what a great source of ideas this blog has been! This post strikes a chord with me. I totally understand getting tired of doing something. I give you credit for having the nerve to express that. Good luck, MAS. Good luck and thanks for the memories, MAS. Your blog has been a tremendous source of information and inspiration for me. Enjoy your new hobbies – gotta be CrossFit and hosting Keurig tasting parties right 😉 – as well as wherever life may take you from here. Each day it seems more difficult to find non-confirmation bias in the blogosphere. Now this. Sigh. Many thanks to you, sir. Aw, I’ll miss your writing. Sad sad day. Like your blogs a lot because everything you blogged about you usually tried your self. Thanks only problem now is we wont find out about your potatoe experiment. Good luck with it all mate. I didn’t not comment a lot (a couple of time, at best), but I certainly read a lot, and learn too. I discovered this site thanks to my love for coffee, and it allowed me to have a better look at what I knew about nutrition, body and stress, and I knew nothing really. And that’s a good thing to realize. I was very late to this party. I understand, however. You have a topic, you dig in, you write a lot about it, and eventually you’re written out. I have “taken a break” from my own blog since 2009 but I plan to get back into it. Good luck! I’ve learned a lot from your writing. 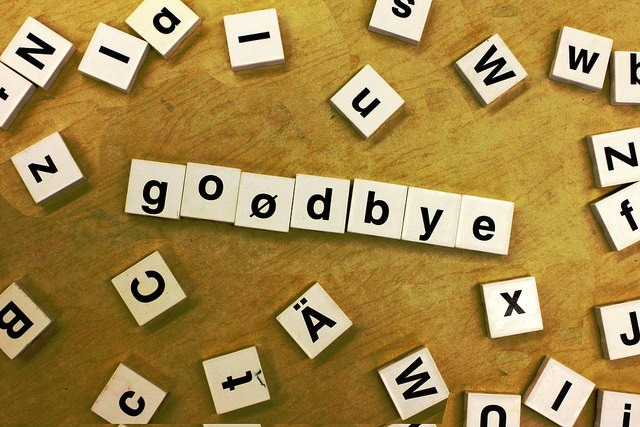 Bye for now – enjoyed your blog very much. Thanks for all the years you DID put in and the wealth of information you sifted and shared. I also came to the blog late (only this year) but I scarfed up much useful info, learned about HillFit and your kettlebell and IF experiences, all of which were helpful to me. What I’ve loved is your spirit of experimentation (like with the potato trial) balanced against your economic decision-making. Those qualities threw a quite different light on some topics that I hadn’t seen elsewhere (esp. since I don’t go deep into those issues and depend on guys like you to do the spelunking and mapping for me). Enjoy your break! Plant new seeds! Bad news! I can relate, though – my own desire to share has been going down as well for quite some time already. And while I, too, feel that some new project will emerge at some point, that moment hasn’t come yet. So have a good time, MAS, and I hope to read from you again. Subscribed to the newsletter to stay informed. @All – Thanks for all the nice comments. If the Potato Diet is a success, I will send out a newsletter. I think it is the one topic that is still active and open. Although if you do have a deep interest in the Potato Diet, go to Vegetable Pharm. He has years of experience on this topic. I’m only on Week 3. Those in Seattle can always meet up with me in person. I am involved in two Meetup groups (Coffee Club of Seattle and Western Washington Paleo). I’ll miss reading – but wish you well. I’ve enjoyed your blog and have used it to good effect to avoid injury at the gym. I plan to try a potato day or two next month. The budget will need it as well as my jeans! Goodbye, enjoyed reading your stuff. Thanks for the sharing you have done – it’s meant something to your readers. Bye & Happy Future, MAS! I missed your daily writings and have become much less of reader of blogs overall, yours and FreetheAnimal – the only two I read virtually every day. I felt your interests were taking you elsewhere. Good for you and our loss. Stay well, strong and the eternal experimenter and seeker of your own truth wherever that leads you. I will miss your voice of common sense, caution and balance above all the noise that is going on out there. I don’t know where you got the “the quality has become worse” part from but it’s too bad you feel this way. Too bad the best health blog I know of shuts down indefinitely. Thanks for everything you gave us! I echo the sentiments of those above. I too will miss your writings, especially those on fitness topics. I’ve enjoyed reading your words as you are truly one of a rare breed of critical thinkers on the internet. This has been reflected in the evolution of your approach over the years. Never afraid to question, never afraid to experiment and investigate, and never afraid to admit that you may have been wrong and change direction. I’ve admired you for that. I fully understand your need to get on with other areas of your life. You’ve guided us in many areas so far, now it’s up to us to continue on our own journeys. I wish you well in whatever you plan to do. May your future be a successful one. @Pauline – I pretty much stopped following all fitness and health sites myself. Podcasts too. Although I do like Vegetable Pharm. I began to see the quest for better health as an unhealthy obsession. First in myself and then everywhere. What began as my own empowering journey became the opposite. People saw me as a source to solve their health issues. Some real, most imagined. I don’t want to be in that position for obvious reasons. @Stuart – Perfectly stated. Thank you. You always brought a thoughtful position to the health craze environment. A lot of it made me rethink my ideas about diet & fitness. I hope you find new interests that you can be as passionate about as you were on this blog. Sorry to see you go but congrats on coming out! been checking in here for years – sorry to see you go MAS. I agree all the stress caused it one thing then another thing. Have you hard of Chori bar? It’s suppose to a health bar that helps the poor to get better nutrition. @MikeTO – I have not seen that.